What little boy doesn't dream about growing up and becoming a fire fighter? 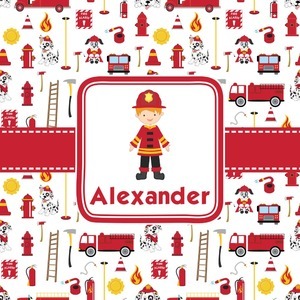 Open his imagination with this adorable design showing your little man ready to save some lives with a whole fleet of fire trucks, fire hydrants, ladders, and poles behind him. This design offers customization by picking the hair color and skin color. Also, add that special touch by customizing the design with your little guy's name.